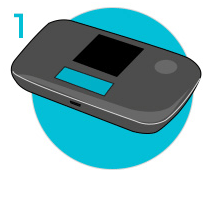 You will return/send back the device before June 19 at 3p.m.
. 20 days . 20 days . Your subscription will last until June 19 at 3p.m. If you don't want to renew, you will return/send back the device before June 19 at 3p.m. Your subscription will last until Junio 19 at 3p.m. Why can't I book it more time? Your device should arrive the day your subscription begins between 9am and 8:30pm. If you are ordering it urgently and it is vital you receive tomorrow, know that pick-up points have less issues and delays. Internet without waiting: Receive it the next day anywhere in Peninsular Spain, or the same day in Madrid center, if ordered in the morning. Internet without installation: Switch it on, and connect to its Wifi network. Simple and easy. Use it wherever you are: Put it in your pocket and hit the road. What if I try it and don't like it? How can I get Wifi Away? You can book your 4G WiFi from the top of this page, start by entering the dates you need it and our web page will guide you through, you only need a credit or debit card. How/Where will I receive the 4G wifi device? What do I have to do to return my Portable WiFi? You can drop it yourself in any regular mailbox on the street. You can also find mailboxes in most of the airports. In the following links you will find the location of airport mailboxes at the Madrid and Barcelona airports (Madrid – Barcelona). You can also ask the hotel receptionist to send if for you. In case you forget to send it back, you can send the 4G wifi device by any means at your expense (additional expenses may be charged in case it arrives with a delay). What happens if I have problems with my 4G wifi device? 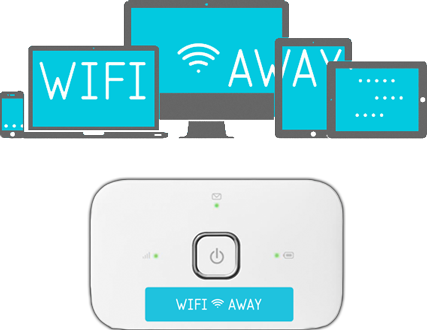 We take lots of care with our 4G wifi devices, but in the unlikely event that the WifiAway 4G wifi device arrives damaged or in poor condition, please, let us know as soon as possible and it will be immediately replaced by another one, or you will receive your money back in case it no longer makes sense for a short stay. WifiAway works with several operators in Spain, with broad 3G and 4G coverage in the country. Furthermore, the antenna of our 4G wifi devices is more powerful than most Smartphones, so they reach coverage where many Smartphones don’t.. 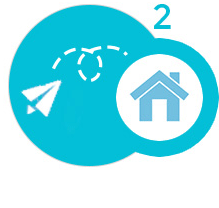 However, if you book WifiAway and once it arrives you discover you don’t reach coverage, please try placing it in different places of your house, next to windows. If that doesn’t work, please reach us within the first 24 hours and we will help you return your 4G wifi device and receive a full refund. What are the usual speeds? 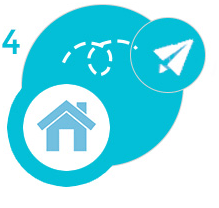 Our 4G wifi devices are latest generation, and connect to the 4G network. With good 4G coverage, we have tested our 4G wifi devices reaching real speed of up to 40 Mbps download and 10 Mbps upload (very fast!) although in theory the 4G network could lead to up to 150 Mbps of download and upload. In places without 4G coverage, at 3G/HSDPA we reach real speed of up to 19 Mbps download and 4 Mbps upload. This speed is higher than most DSL Spanish connections. All of these speeds will last until you consume your data allowance. After that, the connection will stop working. How much data will I get? Is 10Gb a lot or little? You will get from 10Gb to 20Gb for the stay depending on it's length (try your dates at the top of the page to find out). How much does the battery last? 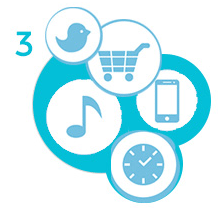 Just as Smartphones, it depends on the usage: with low usage, it can last up to 8 hours or more. With high usage (lots of data, lots of people connected, or low coverage) it can last as low as 4-5 hours. You will receive a charger together with your 4G Wifi device so that you can charge it just as you would with your mobile phone.